Home » animal abuse » How many hours in the crates? 85 hours! How many hours in the crates? 85 hours! Ticker was stopping last evening we will post the final number later today. Total time in the crates and total time on the road. 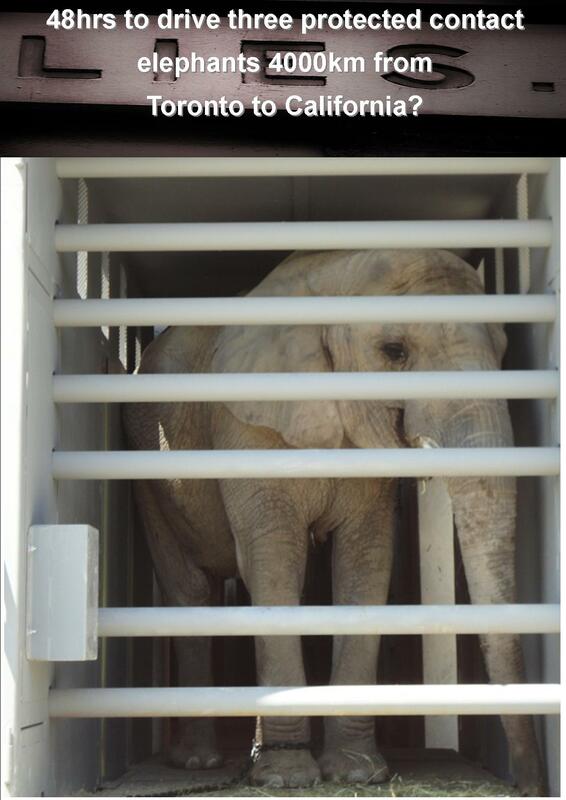 how long will Toronto Zoo elephants be inhumanely crated on transport to California? 84hrs Crate time,over 70hrs on the road. By zoosmatter in animal abuse, animal rights, animal welfare, animals, Councillor Berardinetti, Councillor Carroll, Councillor Cho, Councillor DeBaeremaker, dead elephants, Glenn De Baeremaker, hypocrite, inhumane, julie woodyer, lies, PAWS, politics, sanctuary, toronto, toronto city council, toronto zoo, toronto zoo elephants, zoocheck canada, zoos on October 19, 2013 .